Look for real estate deductions on your mortgage closing cost statement. 2. Which Mortgage Closing Costs Are IRS Tax-Deductible? 3. Can You Roll Closing Costs Into an FHA Loan? If you’ve recently purchased a home, some of your closing costs are tax deductible on your federal income tax return. It’s essential to know which of the many expenses incurred during closing are deductible and which are not. Check your mortgage closing cost statement for the amounts you paid. As per IRS publication 530, homebuyers may deduct certain closing costs when they file federal tax returns. These include the points, or loan origination fees, you paid, as well as property taxes and mortgage interest. The IRS considers points as prepaid interest, thereby permitting deductibility. You can deduct all the points you paid in the year you paid them, rather than over the life of the loan, if the mortgage is for your primary residence and you didn’t pay more in points than the usual amount in your area. Points are worth 1 percent of the entire mortgage loan, so if you have $350,000 mortgage, each point is worth $3,500. Typically, homebuyers pay two to three points at closing, not higher amounts which limit deductibility. To deduct home closing costs of property taxes, home mortgage interest and points, you must itemize on your Form 1040 return, reporting deductions on Schedule A. Enter eligible property taxes on Line 5c, home mortgage interest and points from Form 1098 on Line 8a, home mortgage interest not on Form 1098 on Line 8b, and points not on Form 1098 on Line 8c. Complete Schedule A according to its directions by adding these amounts together and entering the total on Line 17. It's this Line 17 amount that you'll transfer to Line 8 of your 1040. You should file Form 1098 with your tax return to report mortgage interest and points. Unfortunately, many of the costs associated with purchasing a new dwelling are not tax deductible. You can’t deduct legal fees, title insurance, appraisals, home inspection fees, transfer taxes, real estate commissions or homeowner's association fees. Although private mortgage insurance (PMI) was deductible in tax year 2017, according to income levels, PMI is no longer a deduction in tax year 2018. Under the Tax Cuts and Jobs Acts, signed into law on Dec. 22, 2017, the limits on state and local tax deductions, including the property tax deduction, is $10,000. If your new mortgage is more than $750,000 and you took out the mortgage after Dec. 14, 2017, you can only deduct interest up to the $750,000 limit. For the 2018 tax year, the law nearly doubles the standard deduction to $12,000 for single filers and $24,000 for those married and filing jointly. They rise to $12,200 for single filers and $24,400 for those married and filing jointly for the 2019 tax year. 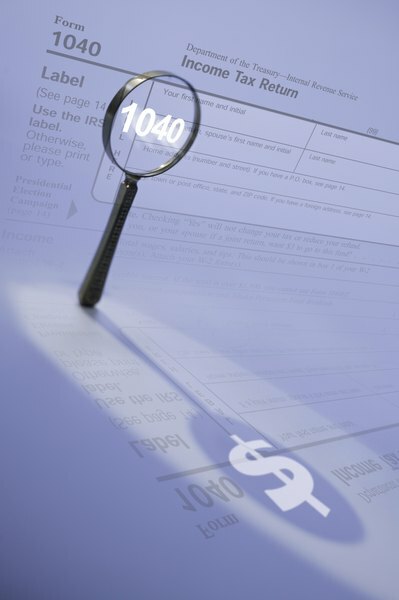 Make sure to use the appropriate IRS Form 1040, which differs from its simplified counterparts, Forms 1040A and 1040EZ. Also referred to as the "long form," the 1040 gives you more opportunities than the shorter forms to reduce your tax bill, according to Bankrate. The real estate taxes you can deduct, as instructed in Step 4, must have been paid out to the tax authority in the tax year. Real estate taxes paid and the time period it covers are on line 211 of the HUD-1. Shamrock Financial Corporation: FAQ: Are Closing Costs Tax Deductible? Intuit TurboTax: Can I Deduct Private Mortgage Insurance (PMI or MIP)?